"I tried doing what's good… Now, I have to do what's right. I have to become this." Briarcliff Ent. 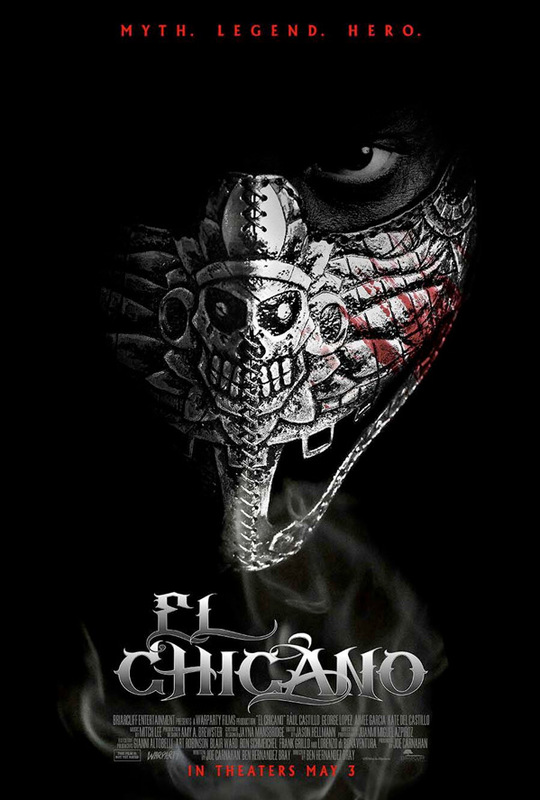 has debuted an official trailer for a crime drama titled El Chicano, from stuntman / filmmaker Ben Hernandez Bray. This premiered at the Los Angeles Film Festival last year, and also played at the Austin Film Festival. El Chicano is about twin brothers Diego and Pedro from East L.A., who go their separate ways. Diego becomes a cop, and Pedro a criminal. However, when clues connected to Pedro's death connect to a case of Diego's, a mysterious masked vigilante from their youth, "El Chicano", resurfaces. Starring Raúl Castillo (from We the Animals) as both Diego and Pedro, along with Aimee Garcia, Jose Pablo Cantillo, David Castañeda, Marco Rodríguez, Sal Lopez, Kate del Castillo, and George Lopez. Looks pretty good. Growing up in East LA, twin brothers Diego and Pedro always knew they had each other, from goofing off on bikes to spying in on parties. As adults, Diego became a police officer looking out for the streets he used to play on, while Pedro turned to a life of crime. When clues start connecting Pedro’s death to a case Diego is working on, the mysterious vigilante figure of their youth—"El Chicano"—returns, drawing Diego in deeper than he ever expected. El Chicano is directed by actor / filmmaker / stuntman Ben Hernandez Bray, making his feature directorial debut following work in TV directing episodes of "Arrow", "Legends of Tomorrow", and "Supergirl". The screenplay by Joe Carnahan and Ben Hernandez Bray. This premiered at the Los Angeles Film Festival last year. Briarcliff will release El Chicano in select theaters starting May 3rd.